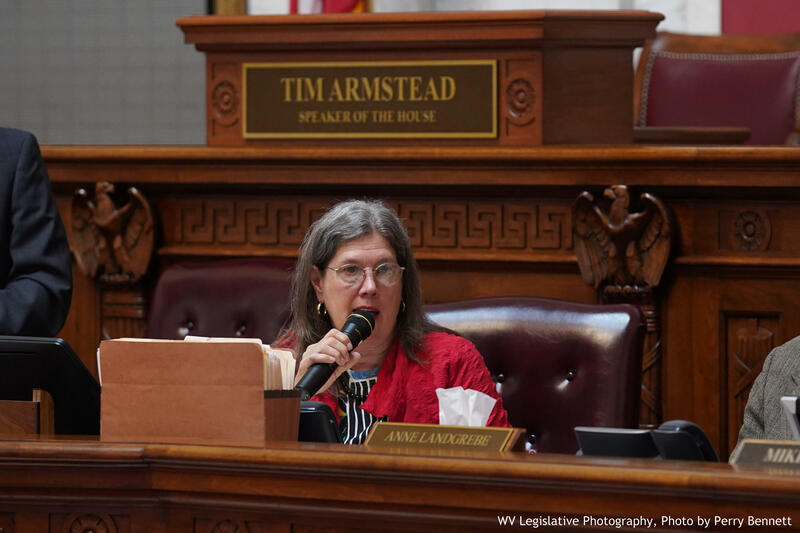 In this July 19, 2018 photo, House Judiciary Committee minority chair Barbara Fleischauer questions witnesses during impeachment proceedings. But rules dictating the procedure of the committee may prevent the minority party’s efforts from gaining traction -- until the Republican leadership and committee counsel are ready to move forward. The proposed articles of impeachment offered Wednesday by the Democrats focus specifically on Loughry for his private use of state resources -- including vehicles, computers and furniture -- for private gain. 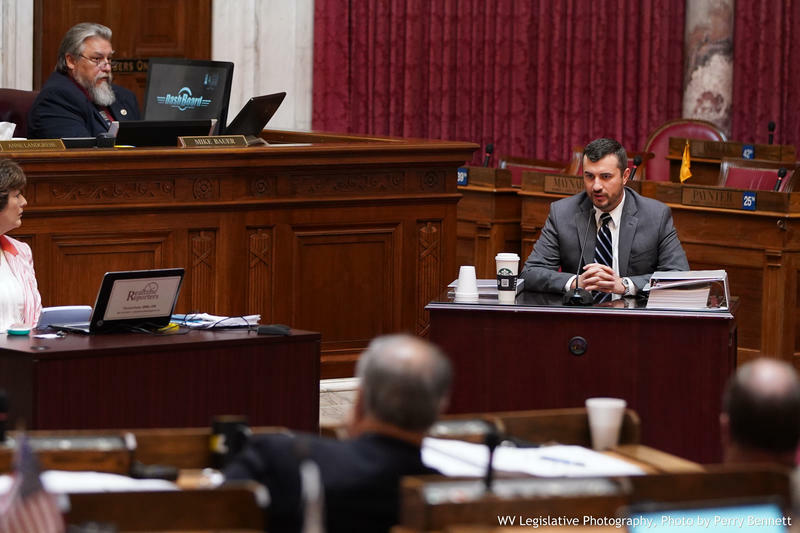 During the past five weeks, committee members have heard evidence and testimony related to Loughry and other justices’ misuse of state resources and the court’s spending. “Enough is enough,” said Barbara Evans Fleischauer, minority chair of the Judiciary Committee. Fleischauer said the evidence against Justice Loughry confirms what was already found in three prior investigations. The resulting work of those separate investigations include reports from the Legislative Auditor, a statement of charges from the state courts’ Judicial Investigations Commission and federal charges filed by U.S. Attorney Mike Stuart. Loughry pleaded not guilty to 23 counts of federal charges of fraud, witness tampering, making false statements and obstruction. Now-retired Justice Menis Ketchum agreed to plead guilty to fraud. Those charges stem from the private use of state resources -- the same focus as the evidence and testimony presented during the impeachment proceedings. Ketchum announced his retirement one day before the committee’s impeachment proceedings began. He officially left the bench on Friday, July 27. Charges against Ketchum were announced Tuesday, July 31. “Former Justice Ketchum has not only resigned, but he's agreed to plead guilty to federal charges with the United States Attorney. Despite a 23-count indictment, Justice Loughry doesn’t appear willing to do the same,” Fleischauer said. The U.S. Attorney’s office has indicated that additional charges could be brought against other justices in addition to those against Loughry and Ketchum. While federal prosecutors continue work on the criminal aspect of justices’ behavior, Democrats argue politics have slowed the impeachment proceedings. The proposed articles of impeachment are the minority party’s attempt to speed up that process. “We have eight Articles of Impeachment -- any one is sufficient for Justice Loughry’s removal. The power of choosing our next Supreme Court Justice should belong to the people of West Virginia, not politicians and lobbyists in a back room,” said Del. Shawn Fluharty, minority vice-chair of the Judiciary Committee. “Any attempt to take power away from the people and pack the court reeks of the very corruption we are trying to stop." Democrats are pushing for vacancies on the court to happen before Aug. 14, which would trigger a special election in November to fill the remainder of a justice’s term. Any vacancies that occur after that date would result in an appointment from the governor’s office -- and delay a special election, possibly until 2020. A special election for Ketchum’s seat is already set for November. The Secretary of State’s office has set a candidate filing period for Aug. 6 through Aug. 21. Should the House Judiciary Committee pass articles of impeachment, the full House of Delegates would also need to approve them, which would require 51 of the 100 members to vote in favor of impeachment. If and when they were to be passed, a subsequent trial would take place in the Senate. To convict a public official of an impeachable offense -- and remove them from office -- 23 of the 34 Senate members would have to agree that the charges presented by the House illustrate an impeachable offense. Democrats on the committee noted that Del. Mike Pushkin introduced an impeachment inquiry against Loughry during the legislative session on Feb. 5. Pushkin’s efforts at the time were ignored -- and also criticized -- by Republican legislators. The Democrats’ effort to move forward with impeaching Loughry appears to be hindered by the rules that are dictating the committee’s impeachment proceedings. One of those rules, which were explained to the committee on July 19 at the opening of the first day of meetings, says the “order of business, the priority of calling witnesses, and the order of examining witness or receiving evidence is determined by the Chair.” Rule 8 also says that no motion to issue articles of impeachment shall be considered until committee counsel informs the chair that all evidence and testimony needed has been heard. House Judiciary Chairman John Shott was authorized to establish the committee’s rules of procedure for the impeachment hearings by way of House Resolution 201, which called for the investigation of possible impeachments of all five of the justice’s on the state’s high court. House Resolution 201 states that the committee chairman is authorized to “establish or define rules of procedure for the conduct of any meeting(s) or hearing(s) held” in regard to the scope of the impeachment investigations. Delegates voted 89-0 in favor of the resolution, giving Shott the power to establish the committee’s rules for the impeachment proceedings. Former House Clerk Greg Gray takes issue with the House Judiciary Committee’s rules for impeachment proceedings. While serving as clerk under Democratic leadership in the House, Gray was regarded as one of the nation’s leading parliamentarians. He has also served as president of the American Society of Legislative Clerks & Secretaries. “I find the restriction on elected members — and the transfer to a staff person of the authority to decide whether the committee proceeds or not — to be totally unparliamentary, at best. It is the committee’s prerogative to conduct the investigative hearings and to draw its own conclusions as to the articles of impeachment, and only the committee’s prerogative at this stage,” Gray said. He said the authority of majority rule by the committee has been disregarded in the impeachment committee’s Rule 8. He also notes that the power to move forward with articles of impeachment has been left out of the hands of the committee itself and instead passed on to the committee’s legal counsel. But Del. Roger Hanshaw, a Republican on the impeachment committee and one of the managers of the process, said the Democrats agreed to give Shott the power to establish rules through House Resolution 201 -- essentially superseding the rules of the entire House. “Even if the normal rules of the House would have would have said ‘X’, the fact that the full House as an entire voting body -- authorized the committee to proceed in a certain way -- it would be that latter action by the House which would control [the impeachment process],” Hanshaw said. However, Shott acknowledges that the committee is nearing completion of its work. “What we plan to do next week is try to get a consensus by the committee on the definitions of the terms that are set out in the [state] constitution -- so we can then try to fit those definitions into what we’ve learned so far and determine whether we are ready to move forward,” he said. Committee members are expected to return to Charleston early next week for a tour of Supreme Court offices and to possibly hear more testimony from Loughry’s wife, who has been subpoenaed to appear. 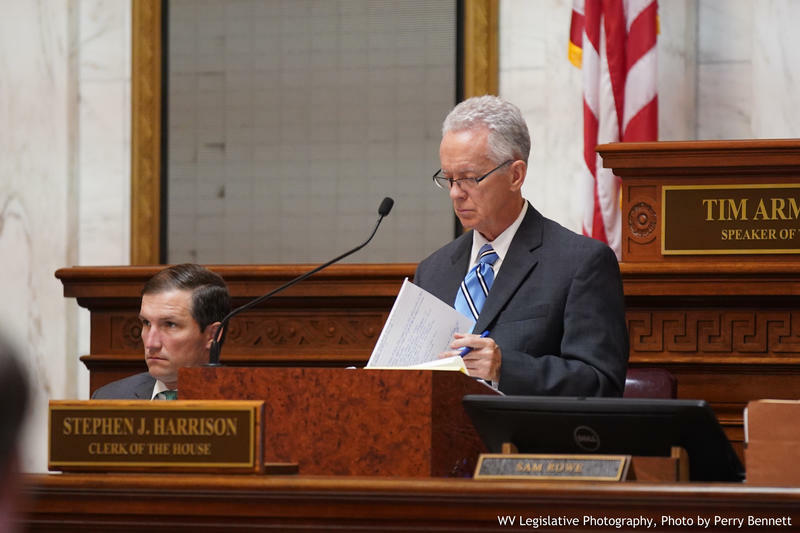 Delegates on the House Judiciary Committee heard more detail Friday about renovations to the West Virginia Supreme Court of Appeals and other spending by the court. Justin Robinson of the Legislative Post Audits Division outlined the court’s spending for the committee, which -- since 2010 -- includes more than $1.5 million for renovations to the justices’ offices. Updated: July 26, 2018 at 3:00 p.m. For more information on the potentional impeachments, see this explainer. 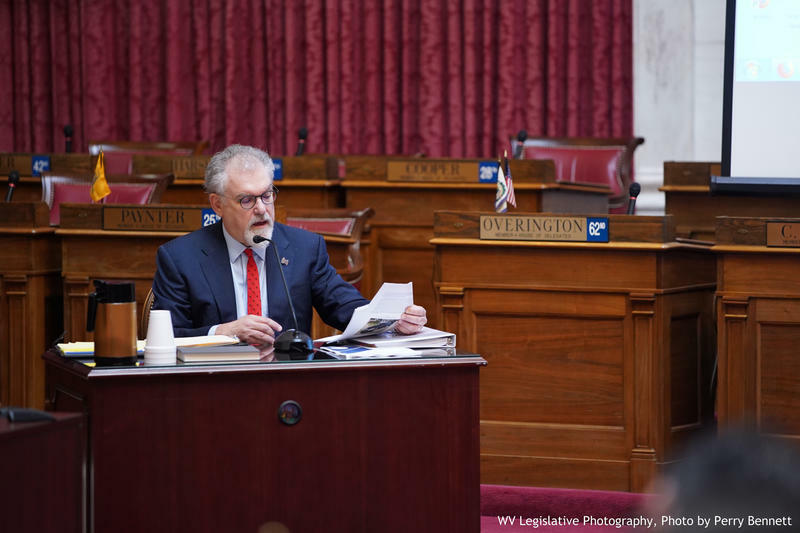 Lawmakers on the House Judiciary Committee heard testimony Thursday from former West Virginia Supreme Court administrator Steve Canterbury. It’s part of an ongoing impeachment investigation of one or more justices on state’s high court.